Your outfit and glasses are adorable! 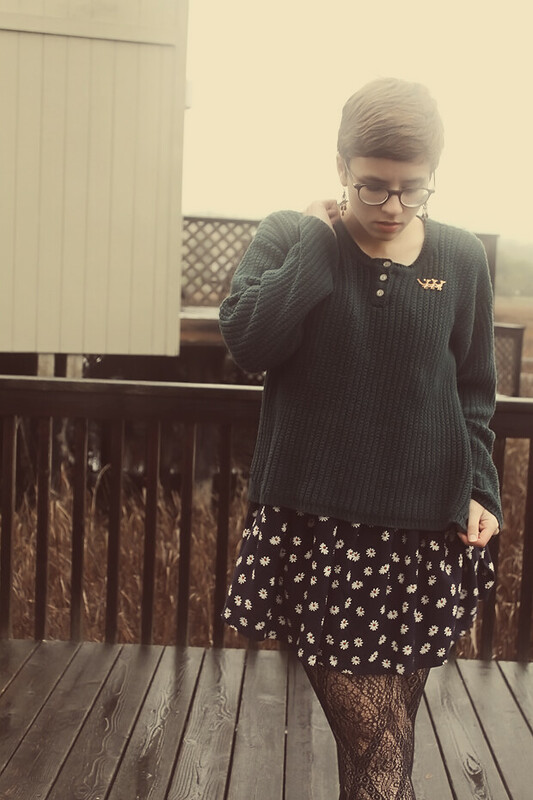 This looks like a super comfy outfit! I would totally take photos in the rain, but then again, I would be sure to cover my camera so it didn't get hurt. As to taking photos of daily life, I feel your pain. I take my camera everywhere on the weekends, so usually my daily life photos are of hanging out with friends and are constrained to Friday and Saturday. Sometimes if I know I'm going to coffee after school I bring my camera along ... and you can always take pictures with your cell phone! Wow. Sorry I left you a novel to read, haha. 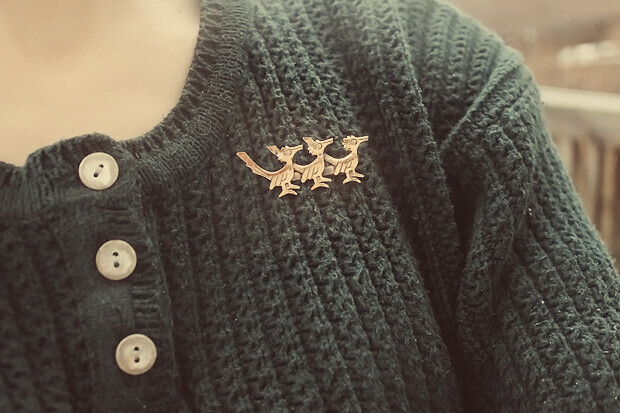 Awww your brooch is adorable! If you have an iphone, instagram works a treat! There's something about dark green and gold that's so pretty together-- and so I love the gold against the green of your brooch! And the sunflower print you have is so adorable. 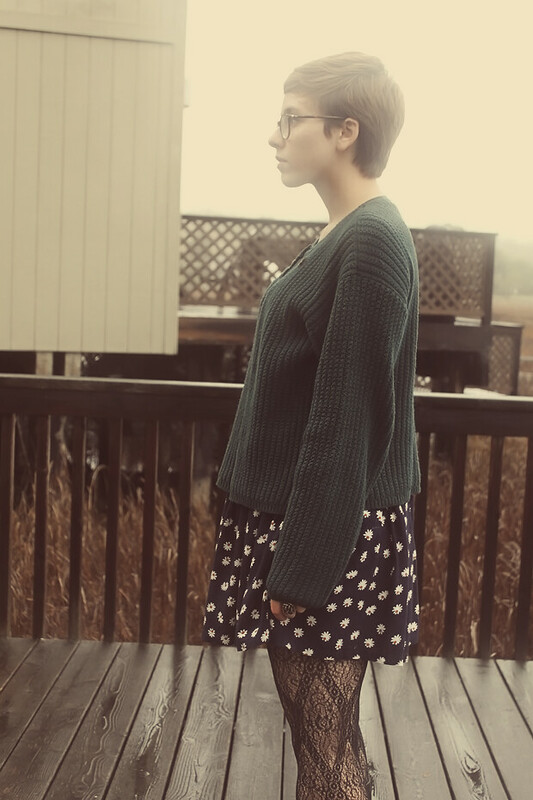 I give you props for taking outfit pictures in the rain. 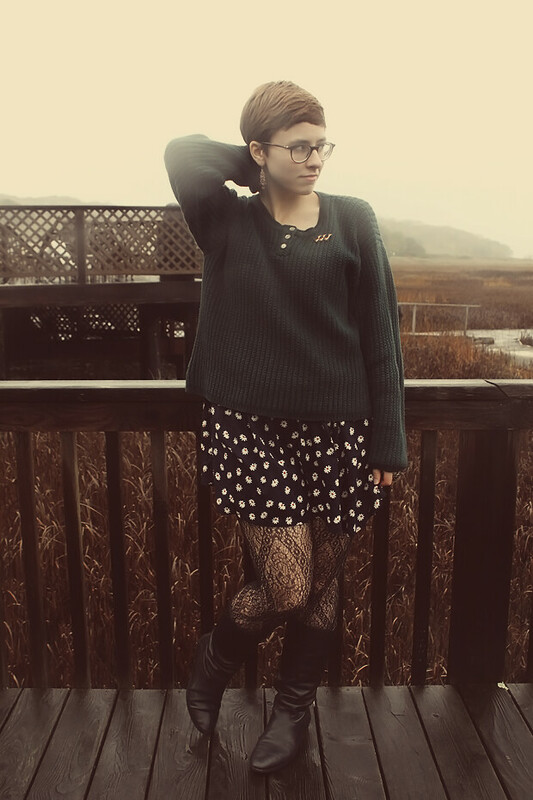 I will go so far as to ride my bike in the rain, but I would have to find a sheltered place (the place where I usually take pictures has many of these muwaha) if I were to take outfit pictures in the rain. 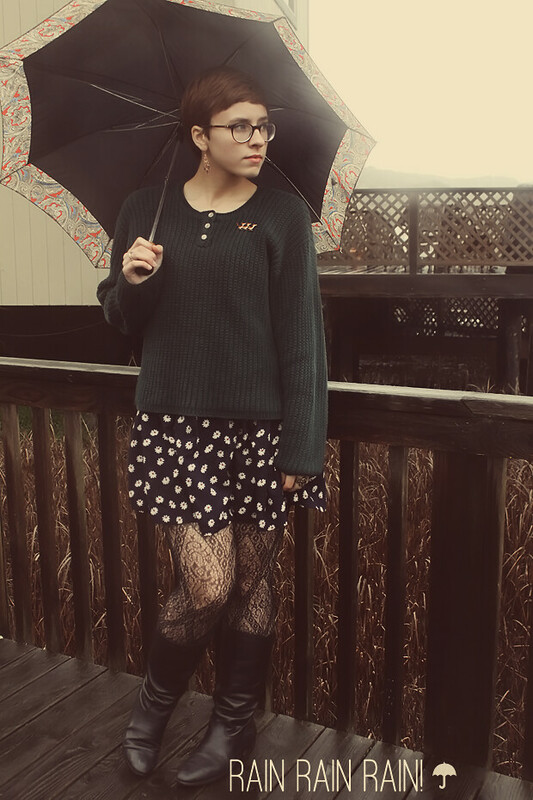 I guess so far it hasn't rained on a day where I want to make an outfit post.. convenient, eh? I probably just jinxed it. PS) The misty effect in your photos is super cool indeed. It makes your pictures look a little more etheral! :D I hope your marsh turns into a lake, too. I love that you are brave enough to take on the bad weather. 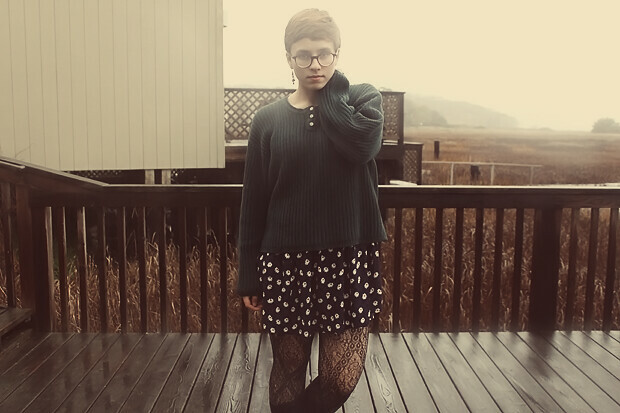 I am such a baby when it comes to wind, rain, cold, etc. These pictures are proof that you don't need a clear skied sunny day to get stunning photos. Your laid-back yet still very pretty and feminine outfit is perfect. I need to work on putting together more like this. You look so stylish but yet so darn comfy at the same time. wow, just found your blog... so glad i did! You look so nice and cozy in that sweater. It's especially perfect for a rainy day. 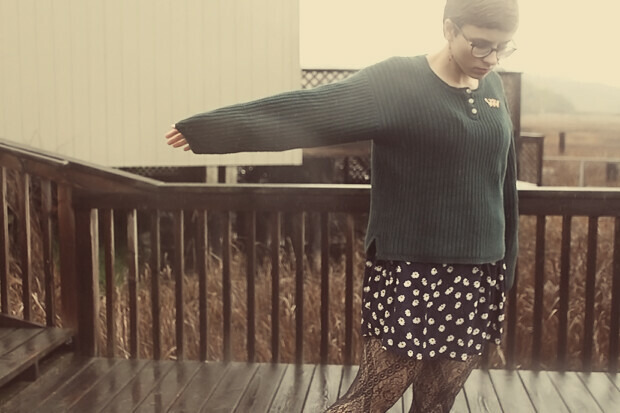 The mix of prints between your tights and dress is great too.